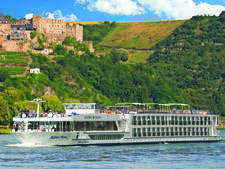 Within the top tier of river cruising, lines have been working to set themselves apart, adding features and luxury touches designed to stand out within the increasingly competitive market. 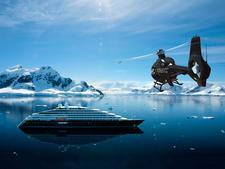 Based in Bordeaux, Scenic Diamond personifies the Scenic Cruises ethos by offering an all-inclusive ship that strives to push the bar with new experiences, both on the ship and off. Best of all, Scenic allows you to customize your cruise experience so you're more likely to get the kind of vacation you want. Fancy a small nosh in Scenic's unique sunroom-balconies? Your butler will bring it to you. Want to skip the guided tour? Scenic's "TailorMade" devices give you the highlights so you can explore on your own, and the cruise director will make sure you have a pass to get into the castle. A fleet of electric bikes (e-bikes) make it easy for anyone to take them out for a spin. We also enjoyed the variety of dining that Scenic Diamond provides, particularly if you're staying in a suite. Passengers in those top cabins receive dinner at Table La Rive, a degustation meal that boasted some outstanding bites and wine pairings. L'Amour is a French specialty restaurant open to everyone, and River Café is fabulous for a fast lunch. (We loved the ham and cheese toasties.) The wine list was among the best we've seen on the rivers, reflecting Bordeaux as well as other regions in France. Where Scenic needs work is with its enrichment offerings. While we enjoyed the much-heralded Scenic Culinaire cooking demonstration, the experience felt dry; it's not immersive like similar classes we've taken on other lines. 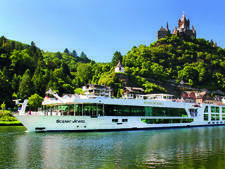 Excursions visited wine chateaus, but it seems almost criminal not to have some sort of onboard wine education session where passengers could get an overview of the complicated Bordeaux region and its offerings. We also felt the salt room could have used some explanation; while we sat there the requisite 45 minutes, we weren't sure what the benefits were supposed to be (and didn't see any, personally). All in all, though, Scenic Diamond has a coziness and comfort level that felt luxurious to us. Passengers weren't afraid to let their hair down and have fun; toward the end of the cruise, the dance floor filled up nightly (particularly when the musician switched to DJ-ing). Extra activities, such as Scenic Sundowner and Scenic Enrich special evening activities at chateaus, were set in gorgeous locales that made everyone feel special. Cycling tours gave us the chance to have some exercise with our constant diet of wine and cheese. 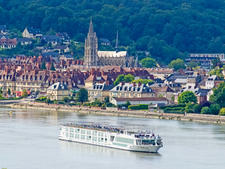 What more could you want from a Bordeaux river cruise? While Scenic historically has attracted Australians and Brits, a growing number of Americans and Canadians are coming aboard. Passengers are typically aged 50 to 80, well traveled and financially comfortable. Passengers should plan to be fairly active; while Scenic Diamond does have an elevator, it doesn't go to the lower deck or sun deck. The focus on walking tours along cobblestoned streets in European towns means the tours aren't so suitable for those wheelchair-bound or travelers with significant mobility issues. Dress is casual during the day (bring sturdy, comfortable shoes for all the walking tours) and smart casual at night. Ladies wear dressy pants outfits, skirts or dresses, while men don nice slacks and button-down shirts at dinners. On the Bordeaux itinerary, there are a few possibilities for dressing up, if you want to, including the Captain's Welcome and Farewell dinners, the Scenic Enrich event at a chateau and dining at specialty venues L'Amour and Table La Rive. Scenic Diamond is truly all-inclusive; you won't have to touch your wallet unless you want to visit the hairdresser or get a spa treatment. 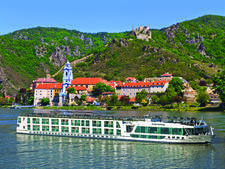 Fares include transfers, gratuities for all staff and local guides, Wi-Fi, a choice of excursions every day, a Scenic Sundowner event, a Scenic Enrich event, use of e-bikes, all drinks (including a mini-bar replenished daily) and specialty restaurants. Scenic Diamond does have a bit of a class system, depending upon what deck you are on. Butler service on the top Diamond Deck is more comprehensive, and passengers staying here are also invited to dine once per cruise at Table La Rive, the ship's seven-course wine pairing meal. The onboard currency is the euro. 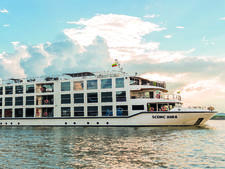 The 22-suite Scenic Aura, launched in 2016, sails the Irrawaddy River in Myanmar between Mandalay and Pyay with an almost 1:1 staff-to-guest ratio. Scenic Spirit’s all-inclusive cruises come with complimentary beverages, a pool and spa, gourmet dining, luxurious bedding and L'Occitane toiletries. 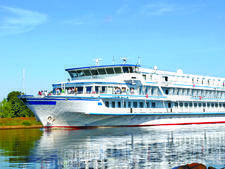 The 112-passenger Scenic Tsar was relaunched in 2012. It's not a new riverboat, but the refurbishment was so extensive, that it's registered as a new vessel. 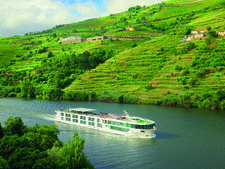 In 2016 Scenic became the first non-Portuguese company to operate on the Douro River, which means the luxury Australian line can uphold its high standards. Scenic Crystal, launched in 2012, is one of Scenic's popular "space ships." 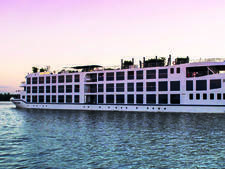 It's a luxury river ship that offers excellent service, great food and comfortable spaces. 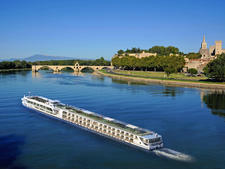 The 128-passenger Scenic Gem was custom-built to sail on France's Seine River and features a unique design and cutting-edge technology. 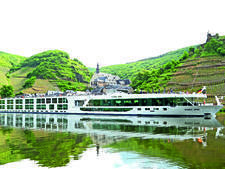 Launched in 2016, Scenic Amber has capacity for 169 passengers and 51 crew, this all-suite river ship offers a contemporary cruising experience. The 169-passenger Scenic Opal boasts spacious cabins and public areas, as well as a splash pool and resistence swimming pool. 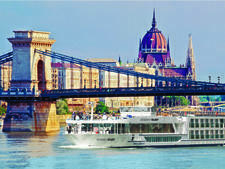 Fares include all excursions, drinks and gratuities. 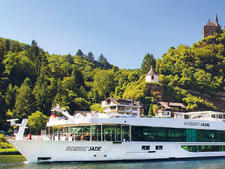 Scenic Jade offers the intellectually curious passenger a fine sampler of excursions along more than 700 miles of waterways, from Amsterdam to Budapest. Highlights include "Sun Lounge" balconies, which give cabins an airy feel and make balcony space usable in fair and inclement weather, and multiple dining options. Scenic Sapphire, launched in 2008, is one of Scenic's popular "space ships." This class nods to a design that offers plentiful public and cabin space – among the highest passenger space ratio in the industry. One of Scenic's "space ships" offering "Sun Lounge" balconies in all rooms, which simultaneously make cabins feel airy while also making the space usable in all weather. Scenic Jasper is Scenic's 11th "Space Ship" -- so called because of the higher-than-average amount of space dedicated to public areas. 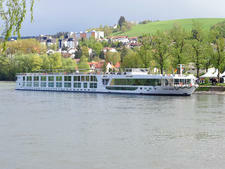 Fares include all excursions, drinks and gratuities. 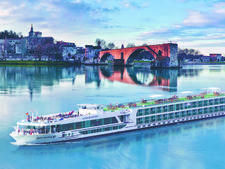 Scenic Ruby, launched in 2009, is one of Scenic's popular "space ships," designed to offers plentiful public and cabin space – among the highest passenger space ratio in the industry. Featuring the sleek profile of a luxury super yacht, the all-suite, 228-passenger Scenic Eclipse will be the first ocean cruise ship from Australian line Scenic.